The leader of Lincolnshire County Council has expressed his ‘serious concerns’ over the county’s Sustainability and Transformation Plan (STP). Councillor Martin Hill said: “Although we accept and understand the rationale for change within health services in the county, the executive has serious concerns that the proposals in the current STP will not improve services for everyone. “Making things better for most people, at the detriment of others, is not good enough. “We also agree that money needs to be spent on better facilities, following years of under-investment on our hospitals. In the full letter from the Lincolnshire County Council Executive to health bosses, released today (March 21), Coun Hill said: “We believe the STP needs to be clear in its intent to deliver better services for everyone. It is not evident in the draft as to how the removal of services and facilities such as those identified will make this possible. “For services as critical as these, ‘better, by and large’ is not good enough. 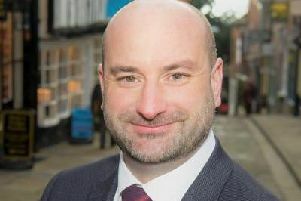 Coun Hill signed off the letter by stating that the points above provide the Executive’s “initial observations” and that he awaits a considered response with interest.